There’s a good reason almost everyone who’s had so much as a sip of wine knows about Napa Valley. Putting its breathtaking natural beauty, which is reason enough to visit, to one side, the region produces some of the world’s finest wines. Buttery Chardonnays, full-bodied Cabernets and fruity Merlots are just a small example of the vast array of varieties crafted by the 400+ wineries scattered across the fertile, picturesque land. Approximately 95% of the wineries within Napa Valley are family-owned and operated, which ensures the entire process from grape to glass is done with the utmost care, attention and love. We’ve picked the best of the best in the region and whittled down the hundreds of award-winning vineyards and wineries to the very finest 10. For unforgettable wine tastings, where every sip is better than the last, fascinating behind-the-scenes vineyard tours led by the grape growers themselves and stunning scenery - the likes of which you’ve never seen surrounding you on all sides, you really can’t beat our comprehensive list of the top 10 vineyards and wineries in Napa Valley. What: For more than 30 years the Peju family has been welcoming guests to their Rutherford estate to soak up the gorgeous garden views and sip on their superb wines. This estate is home to the H.B. Vineyard which features 22 acres dedicated to the five traditional Bordeaux varietals of Petit Verdot, Malbec, Cabernet Franc, Merlot and Cabernet Sauvignon. Sustainability is incredibly important to the family: all the wine produced within this vineyard is certified organic and the 36% of the winery’s energy is generated by 720 solar panels installed on the roof. In addition to the H.B. Vineyard, the winery also encompasses the Persephone vineyard used exclusively for the growing of Merlot and Chardonnay, a 50-foot tower designed by renowned Southern Californian architect Calvin Straub and the Peju Gardens which feature fountains, lawns, sycamore trees and a koi pond tended to by Herta Peju. History: A passion for traditional farming and a love of good wine is what brought Tony Peju to the Napa Valley over 40 years ago. In 1982, Tony and his wife Herta bought 30 acres of land in Rutherford which included a 1900-era house and sprawling vineyards which had been established well over 60 years prior. Cabernet Sauvignon and Colombard were originally planted here and sold onto several wineries by the vineyards former owners. The Peju couple started off by selling on the grapes and also worked to improve their vineyard through irrigation, trellising and canopy management. In 1990 the old vines were coming to the end of their reproductive years, by which time the family were already producing their own award-winning wines. They planted cuttings from the vines which were earning them the highest accolades and added a few extra varieties for experimenting. It’s at that point the family stopped selling their grapes to other wineries and began focusing solely on producing their own wines. The tour: Peju Province Winery offers several tastings, but we recommend the winery tour and reserve tasting. This semi-private and seated experience lasts 60 minutes, during which you’re treated to a flight of the most elegant locally-grown wines. The tour begins with a walk around the Rutherford estate grounds where you learn all about the family, their history and their winemaking practices. This is followed by a relaxed sampling of a selection of Peju reserve, current release and limited production wines, along with a charcuterie platter and other small seasonal bites. The winery tour and reserve tasting is available for groups of 2-16, Monday-Friday at 11.30am by reservation only. What: Founded over 40 years ago, Raymond Vineyards is one of Napa Valley’s pioneering great estates. The 300 acres of vineyards are divided across three locations, each of which grows a different set of grapes that perform exceptionally well in each type of soil and climate. The ten acre St. Helena vineyard on the valley floor to the north of the Rutherford estate grows Cabernet Sauvignon. The 90 acre Rutherford vineyard in the middle of Napa Valley is the original vineyard and grows Cabernet Sauvignon and Merlot. Covering 200 acres, the Jameson Canyon Vineyard in southern Napa Valley is the largest and grows Chardonnay, Merlot and Sauvignon Blanc. The winery also has long-term growing contracts with more than 15 Napa Valley growers, allowing Raymond Vineyards to make the most of sub-appellations and microclimates within the valley. History: After working in the wine industry for his father-in-law for over 30 years, in 1970 Roy and his two sons set up the original 90-acre estate in Rutherford where the winery is still located today. In 1974 the family released their first commercial wine under the Raymond Vineyards name and have continued to enjoy great success with their wines ever since. After setting up the original estate, it has grown to encompass 300 acres spread out across Rutherford, St. Helena and Jameson Canyon. The tour: There are many different Raymond Vineyards tours and tastings to choose from, but we recommend the private winery tour and tasting. This exclusive tour begins with an introduction to the history of the Raymond family and the transition to the Boisset Collection, followed by an extensive production tour starting at the gardens to the crush pad, the tank barn and the barrel cellar. Along the way you’ll have the opportunity to sample Sauvignon Blanc, Chardonnay and Rosé. 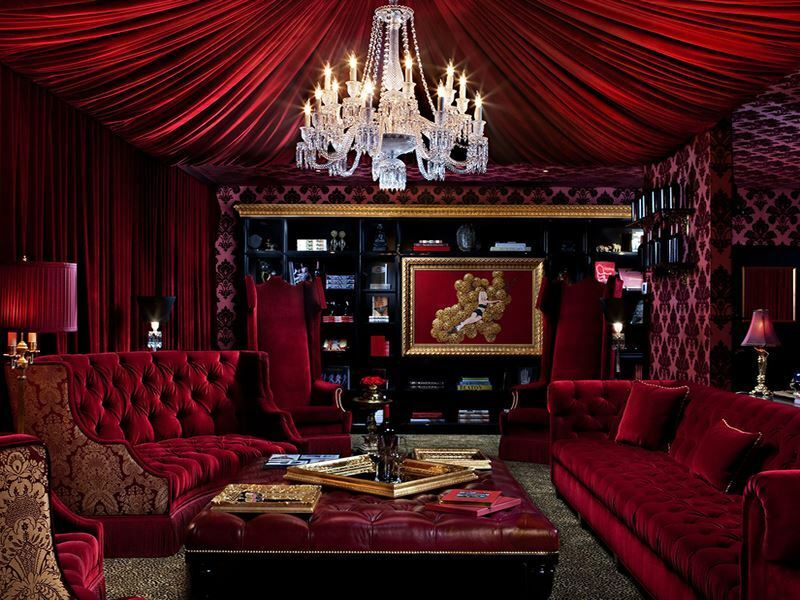 After your tour, you’ll retire to a private room with your host to sample four rich red wines, ending with Raymond Vineyard’s flagship Cabernet Sauvignon. The private winery tour and tasting is available by reservation only. What: Whetstone is a small, family-owned luxury wine brand set in the very heart of Napa Valley at the base of the Atlas Peak Road. The centrepiece of the two acre estate is the 19th century chateau designed by Hamden W McIntyre inside which sits the Whetstone tasting room. The superb quality of the wines compared with the stunning chateau setting, attention to detail and relaxed atmosphere make a visit to Whetstone a truly magical experience. The estate operates seven different vineyards: two in Russian River Valley, two in Napa Valley and three on the Sonoma Coast. With such a huge variety of climates and soils at their fingertips, the Whetstone family are able to grow a wide assortment of grapes, from clones of Viognier and Dijon to clones of Syrah Noir, Pinot Noir and Calera. Many of the vineyards are sustainably managed and farmed, with various organic practices in place. History: After originally relocating to Napa in 1996 to manage a restaurant and pursue a career in the food industry, Jamey Whetstone changed direction and began working at Turley Wine Cellars in 1998. Following a summer sabbatical with the Seysses family at Domaine Dujac in Morey-Saint-Denis where he developed his great love of Pinot Noir, Jamey returned from France and founded Whetstone Wine Cellars in 2002, all the while continuing his apprenticeship at Turley where he soaked up as much wine knowledge as he possibly could. In 2005, he left Turley behind to fully commit to Whetstone. Just six years later in February 2011, Jamey and his wife Michelle purchased Whetstone estate and opened its doors to the public in July 2013. The tour: The classic tasting tour is a great way to get an overall feel for the wines produced at Whetstone. This intimate, seated experience includes a taste of four current release wines accompanied by savoury rosemary almond nibbles. The tasting lasts around one hour and is available for 1-9 people each day between 10.30am and 3.30pm with a previous reservation. What: Shafer Vineyards incorporates six different vineyards spread across the Stags Leap District, Napa Valley and Los Carneros. The 54 acre Hillside Estate vineyard grows Cabernet Sauvignon grapes and is responsible for the vineyard’s signature wine: Hillside Select, sourced from the slopes of the amphitheatre-style structure of the rocks. The 25 acre Borderline vineyard also grows Cabernet Sauvignon and was the last plantable parcel in the Stags Leap District when it was purchased several years ago. 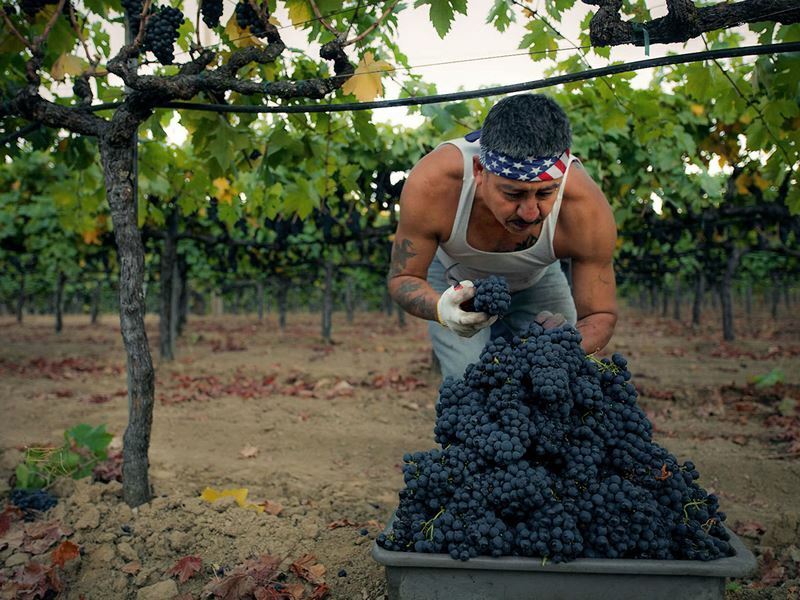 The 18 acre La Mesa vineyard grows Syrah and Petit Sirah side-by-side which are picked, crushed then fermented as one. The 42 acre Ridgeback and School Bus adjacent vineyards grow Cabernet Sauvignon and Merlot using fully sustainable farming practises, which means the land still provides homes for wild turkeys, jack rabbits and even bob cats. The 66 acre Red Shoulder Ranch vineyard grows a blend of five Chardonnay clones which produce small clusters in abundant flavours. History: Shafer Vineyards began in 1972 when John Shafer left behind a 23-year career in the publishing industry to start a second career in wine with his family. Following the purchase of a 210 acre estate in the Stags Leap District in Napa Valley, the Shafer family were forced to replant all the existing vineyards which had been there since the 1920s and terrace the rocky, steep hillsides of the estate. It was tough work, but necessary to expand the vineyard to the 50 acres it covers today. Transforming from grape growers into vintners, the Shafer family crushed their very first Cabernet grapes in 1978 and began to build their own winery one year later. The first Shafer Cabernet was a huge success, winning the highly-acclaimed San Francisco Vintners Club taste-off and over a decade later being awarded first place in an international blind wine tasting event that took place in Germany. The tour: Shafer Vineyards’ tasting visit allows you to learn about the local wines and enjoy a few samples in a comfortable home-away-from-home atmosphere. Each visit lasts around 90 minutes, during which time you’ll find out all about the Shafer Vineyards, the family’s approach to winemaking and the vineyards’ history while tasting a selection of five incredible wines, including the signature Hillside Select. Tasting visits take place Monday-Friday at 10am and again at 2pm for ten or fewer guests and prior booking is a must. What: Lying along the eastern edge of Rutherford at the foot of the Vaca Mountain range sits Quintessa Winery. An assemblage of valleys and hills boasting a variety of microclimates and soils which blend to reveal a wine of pure harmony and elegance, this winery truly captures the essence of the Napa Valley. Across this estate the landscape rises and falls with rolling vineyards surrounded by natural vegetation and ancient oak trees. At the centre of the estate as Dragon Lake, home to a wealth of water life and several species of birds. To preserve the natural mosaic of the vineyard, each plot within the estate is farmed, harvested and vinified separately to showcase the variations of the land. Depending on the vintage, Quintessa includes a selection of the five varietals grown on the property at any one time. These include Carménère, Petit Verdot, Cabernet Franc, Merlot and Cabernet Sauvignon. The grapes are harvested early in the morning before they’re sorted and gravity-fed into tanks made of concrete, stainless steel or oak where they’re vinified. Following fermentation and maceration, the wine from each individual plot is aged separately for a maximum of two years in French oak. When the final Quintessa blend has been created, the wine is bottled and left to rest for a final year before it’s released. History: The owner of Quintessa Winery, Agustin Huneeus, has spent his whole professional life in the wine industry. He entered the business in 1960 as the CEO of a small winery called Concha y Toro that he transformed into the largest winery in Chile. In 1989, Augustin Huneeus and his wife Valeria founded the Quintessa estate entirely from scratch. The land had never been used for cultivation before, so developing it so that it was suitable for wine production was both a great challenge and a fantastic opportunity for the couple. In 2004, Agustin Huneeus and his son, Agustin Francisco Huneeus, launched Huneeus Vinters, an expanding wine estate portfolio which today includes Illumination, Faust and Flowers, as well as Quintessa. 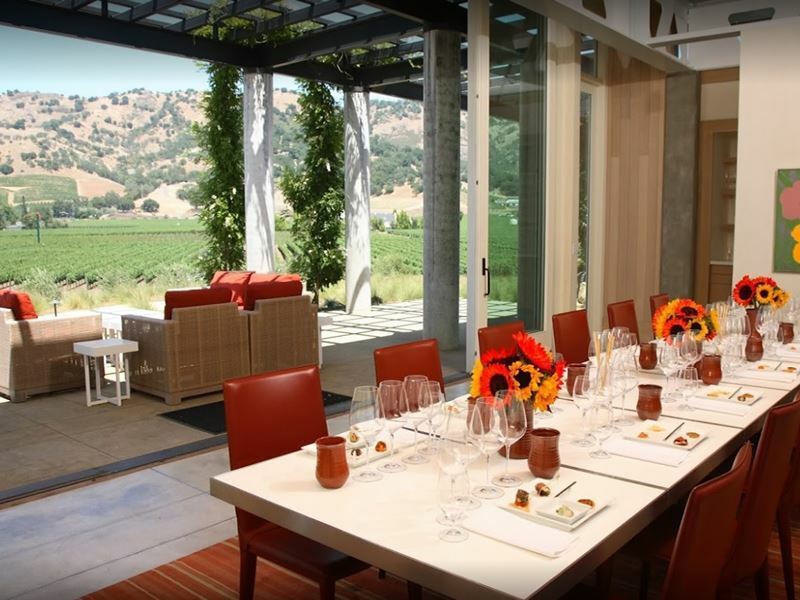 The tour: Each 90-minute Quintessa Winery estate tasting tour is tailor-made for each guest. All tours begin with a leisurely stroll to a scenic viewpoint within the estate from where you can admire sweeping views of the vineyards. After this, guests enjoy a guided tour through the Quintessa winery and caves where you’ll learn more about the winemaking process. The winery tour ends with a relaxed sit-down tasting held at a private table where you can sample the current release and library vintages of Quintessa. Tours take place daily between 10am and 3.30pm with a prior reservation. 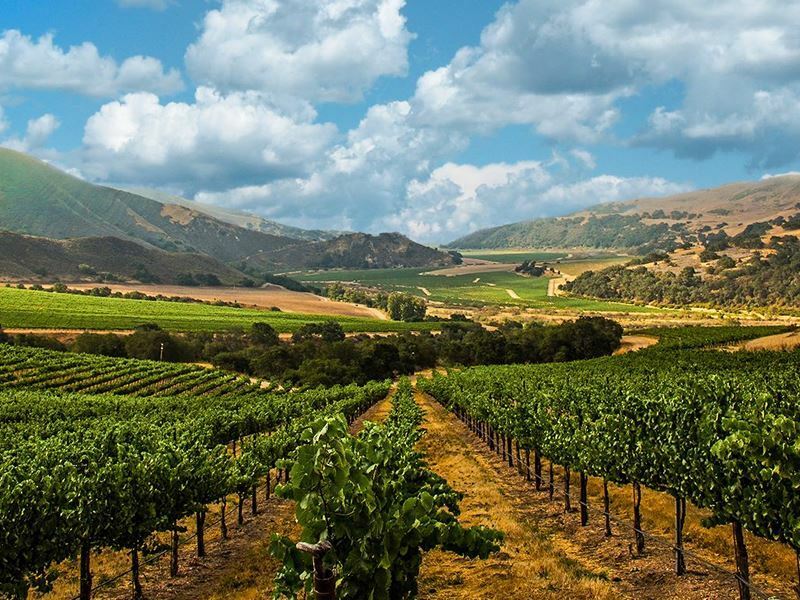 What: The Far Niente Winery is made up of 300 vineyard acres divided between five individual vineyards. At 57 acres, the Martin Stelling vineyard in Oakville is the winery’s largest vineyard, named after the land’s previous owner. Today the vineyard features Petit Verdot and Cabernet Sauvignon grown on some of the most beautiful loam soil in Napa Valley. Acquired in 1998, the John C. Sullenger vineyard covers 42 acres and supplies some of the fruit for the Napa Valley Cabernet. The wines produced here are delicate, structured and elegant, typical to the area. The 18-acre Barrow Lane vineyard in Coombsville offers the characteristic climate of Carneros with the cool influence of the San Pablo Bay and well-drained volcanic soil, providing the ideal environment for growing Chardonnay. Less than half a mile north lies the 50-acre John’s Creek Vineyard which is also key to the Napa Valley Chardonnay. The deep soil and southwestern exposure here mean that the fruits ripen two weeks earlier than at Barrow lane, resulting in the rich aromas and tropical taste that is associated with Far Niente Wines. The Carpenter Vineyard also in Coombsville spans 25 acres and supplied some of the Cabernet Sauvignon used for the Far Niente Cabernet blend up until 2001, when Far Niente transformed into 100% Oakville estate. Since 2003, this vineyard was used to produce Chardonnays that are wonderfully deep and cool. History: The Far Niente Winery was established in 1885 by John Benson, the uncle of the famous American impressionist painter, Winslow Homer. Benson employed architect Hamdem McIntyre to design the winery which was constructed on a hillside in western Oakville. The winery enjoyed huge success until the onset of the 1919 Prohibition, at which point it was abandoned and fell into total disrepair where is stayed until 1979. During this year, Gil Nickel took over the winery and adjacent vineyard and started work on a three-year restoration project for the property which resulted in it being placed on the National Register of Historical Places. During the renovations, the estate’s name, Far Niente, was found carved in stone on the front of the building where it can still be seen today. The original Italian name (which means “without a care” in English) was preserved with the hope of recapturing a bygone era when life was, indeed, without a care. In 1982, Far Niente began producing wine again, starting with the winery’s very first Cabernet Sauvignon and Chardonnay. 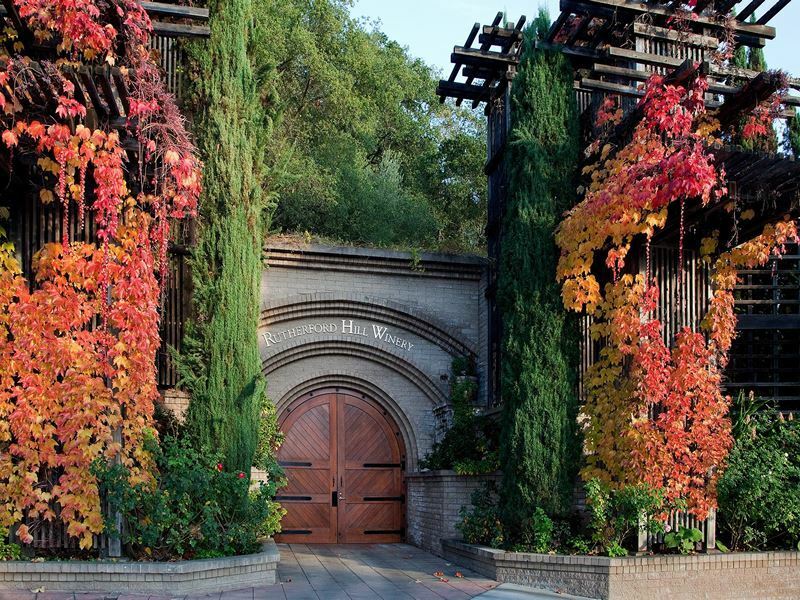 The tour: The Far Niente Winery offers several different tours and tasting sessions. All visits begin with a walk through the historic three-level winery which is set into the surrounding hillside. From here, guests can admire 3,700 square metre wine aging caves which were the first modern caves created in North America in 1980. Each tour is followed up with a wine tasting that features the current releases of the Far Niente estate wines, including the Oakville Cabernet Sauvignon and the Napa Valley Chardonnay, plus a Cabernet from the Far Niente Cave Collection and a carefully-aged Chardonnay. The wines are paired with seasonal cheeses and each tasting is concluded with a taste of a late harvest wine created by Dolce, a sister winery. Winery tours and tastings are daily by appointment only between 10am and 3pm. What: Schramsberg Vineyards’ sparkling wines are created from Chardonnay and Pinot Noir grapes grown in a selection of cool-climate North Coast vineyards set in Marin, Sonoma, Mendocino and Napa counties. The winemakers collect grapes from over 110 individual vineyards in this region to create more than 250 base wines every year. These wines are then masterly blended to create the 12-14 distinctive, complex and hand-crafted sparkling wines Schramsberg Vineyards’ produces annually. Preserving wine making traditions which have been around for centuries, many of the viticultural practices here are still carried out by hand: grapes are hand-picked, wines are handcrafted and bottles are stacked in the underground caves. The top Chardonnay, J. Schram, is even hand-labelled. Around 25% of the Schramsberg Vineyards’ wines are aged in oak barrels to produce a richer, more luscious style. The owners have also developed an extensive library of reserve base wines aged in barrels for up to ten years which are used to provide additional refinement and complexity to the finished wines. History: Schramsberg Vineyards began life in the 19th century when Jacob Schram created the winery on Diamond Mountain. More than 100 years later, Jamie and Jack Davies went on to restore the Schramsberg estate in 1965 and set out to produce a sparkling wine. But not just any sparkling wine. This wine would be described as one of the most admired, select and prestigious sparkling wines in America, chosen for special gifts, special guests, pampering yourself and expressing good taste in unique products. Over the decades, passion and innovation earned Davies and Schramsberg recognition and praise throughout the world. The tour: There are two different tours offered at Schramsberg Vineyards. We recommend the tour and tasting with reserve wines and cheese pairing. This tour begins with learning about the rich history of Schramsberg and a walk around the 125 year old caves where you’ll discover the traditional way to make sparkling wine. This is followed by a leisurely tasting session, guiding you through the nuances of food and wine and how each affect the way you taste and experience flavours. The tasting session includes five limited production sparkling and still wines, each paired with carefully-selected cheeses. Winery tours take place on selected days at 10.30am with prior reservation for up to 12 people and last one hour 45 minutes. What: The Hendry Ranch is made up of 203 acres of land set in the foothills of the Mayacamas mountains, north-west of Napa. The vineyard is spread out amongst 49 different blocks, each representing a unique combination of soil type, microclimate, vine vigour, varietal, clone and rootstock. Thanks to the nature of the location and soils in the valley, the winery can produce 11 different varietals and over 12 different types of wines. Many of the Hendry wines are block designated, whether they’re sourced from one block or a combination of blocks with similar characteristics, and the vineyard is ever evolving, with vines ranging from over 40 years old to newly planted rootstock. History: Parts of what is known as the Hendry Winery today were some of the very first vineyards planted in Napa. Although planting began as early as 1859, phylloxera (an insect that feeds on grapevine roots) and Prohibition meant that the Hendry Winery saw limited action until 1974. At this time, George W. Hendry replanted most of the ranch to the vineyard, giving land that had been left fallow for almost 100 years a new lease of life. Zinfandel and Pinot Noir were the only two grapes grafted to begin with, but after seeing the ranch’s potential, George carried on to re-graft 20 acres of the Zinfandel to Chardonnay and 20 acres to Cabernet Sauvignon. After selling his grapes to winemakers for 20 years, George made his first vintage in 1992 that included a Zinfandel, Cabernet Sauvignon and Pinot Noir. Over the next ten years, the winery sold fewer grapes to winemakers and held onto more to use for its own wines. After purchasing a neighbouring vineyard to expand the estate into a total of 114 acres, divided into 49 blocks, the Hendry label had become so popular by 2000 that the next logical step was to build a winery building so all production could be conducted within the estate. The tour: The Hendry Winery offers three tours but the afternoon tour and tasting is one of the most popular. This experience starts off with an overview of the property’s history, followed by a tour of the vineyard and an introduction to how the winery grows its grapes and makes its wine. You’re then give then opportunity to understand varietals during the educational tasting which covers at least six wines at the end of the tour. Tours take place daily at 2pm for a maximum of eight people with a previous reservation. What: Over the last 40 years, John Caldwell has transformed his vineyard into arguably one of the most amazing and unique wine estates in the world. Located 182 metres above the Napa Valley floor, the 123-acre estate is made up of steep hillsides, undulating oak meadows and row after row of grapevines, all surrounded by mountain ranges on every side. The vineyard’s proximity to San Pablo Bay, along with the geographical location inside an ancient volcanic caldera, creates cool temperatures and the longest growing season in Napa Valley. There are 65 acres in the vineyard dedicated to ten varieties and 26 clones of grape. The ten varieties include Sauvignon Blanc, Chardonnay, Cabernet Franc, Merlot, Carménère, Syrah, Cabernet Sauvignon, Malbec, Petit Verdot and Tannat. All the wines made in the Caldwell Winery are crafted from fruit grown onsite and they’re all fermented and aged in French oak barrels. To make sure there is total control over every aspect of winemaking, there’s a dedicated vineyard crew that control every single step of what happens, exactly when, where and how it’s required. History: After growing bored of his small shoe shop empire in Napa in 1976, Caldwell bought a 54 acre plot of land in the Napa Valley previously owned by dairy farmers. The new owner transformed the run-down pastureland into vineyards and began planting Chardonnay and Pinot Noir before he developed an interest in grape clones. Although he was unable to import the clones he wanted directly from France, Caldwell was able to buy a collection of Cabernet Franc, Merlot and Cabernet Sauvignon clones from a Canadian seller. After more than a little trouble with the police and illegally getting the vines across the border, Caldwell eventually managed to plant them in the spring of 1984 and just two years later made wine that Randy Dunn used as an important component in his 1986 Napa Valley Cabernet. By 1986, Caldwell had found closer and more legal sources of French clone vines and was able to populate his vineyards with them. The grapes were sold to a variety of prominent wineries for over a decade before Caldwell began producing his own wine in 1999. In 2004, he sold the nursery business and now focuses his energy on developing a group of varietals, including Tannat and Malbec. The tour: The Caldwell Winery tour lasts for 1.5 hours and begins 27 metres underground in the winery’s working caves. Here you find out all about how the wine is processed onsite and how the manmade caves were created in 2002. 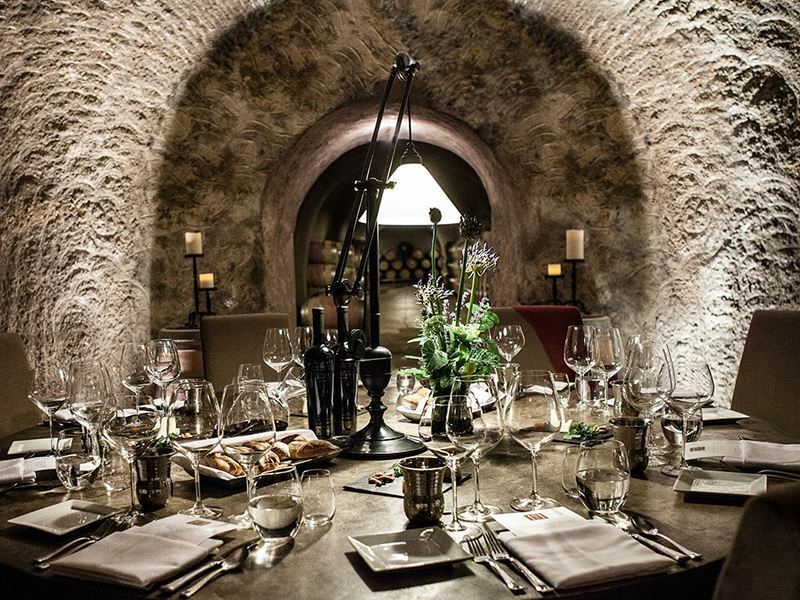 The tour ends with a communal sit-down wine sampling in the caves on a huge round concrete table. The ambiance is truly one-of-a-kind and the perfect complement for tasting six current release wines accompanied by carefully-selected cheeses and other light bites. Tours are available by advance appointments only. What: Founded in 1981 on a spot along Mills Creek known as Frog Farm, Frog’s Leap Winery strongly believes that organic farming practises result in better wine. Because of this, the winery exclusively uses organically grown grapes and dry-farmed vineyards which result in stronger, healthier vines and, indeed, a higher quality of wine. Frog’s Leap was also one of the very first wineries to use solar power to run the entire operation and the vineyard house is heated and cooled using geothermal energy alone. Many past visitors say that Frog’s Leap Winery offers the most enjoyable and relaxed wine tasting experience around, they even let people bring their children and pet dogs with them at the tastings, something that’s practically unheard of on the Napa Valley wine tasting scene. History: John Williams, the founder of Frog’s Leap Winery, was working as a dairy farmer up until 1981, when he fell in love with winemaking and opened up his own winery. The very first batch of Frog’s Leap wine was made in a borrowed hot tub, followed by a Zinfandel and Sauvignon Blanc made with Spottswoode grapes and more appropriate wine-making materials. Over the years that followed, John tried his hand at growing various different grapes but was convinced that organic farming would result in a healthier vine and better wine. He convinced grape growing partners to grow organically and just one year later, Frog’s Leap Winery was rewarded with the California Certified Organic Farmers status. The winery was relocated in 1994 to an estate on Rutherford which featured 40 acres of land, orchards and gardens. Over the years, Frog’s Leap Winery developed various types of wines which they continue to export across the world today. In 2000, the completion of Barrel Chai meant that all winemaking and storage could take place within the winery. From 2006 onward, the team have continued to expand the winery with a second orchard and additional winery buildings, meaning that the gardens now produce more than 50 different crops. The tour: Frog’s Leap Winery offers three different tours, but the guided tour and tasting is the best. During this experience, not only will you get to taste the wine, but you’ll also get an inside look at the way it’s made. From how the land is farmed, to the place where the wine is created, you’ll see it all first-hand during this intimate, guided tour followed by a relaxed, sit-down tasting session. Wines are paired with small plates of local cheeses, crackers and nuts and the atmosphere is very casual and down-to-earth, making it perfect for people who know little about wine but want to learn more. Tours and tastings are limited to ten people and take place twice each weekday at 10.30am and again at 2.30pm with prior reservation. 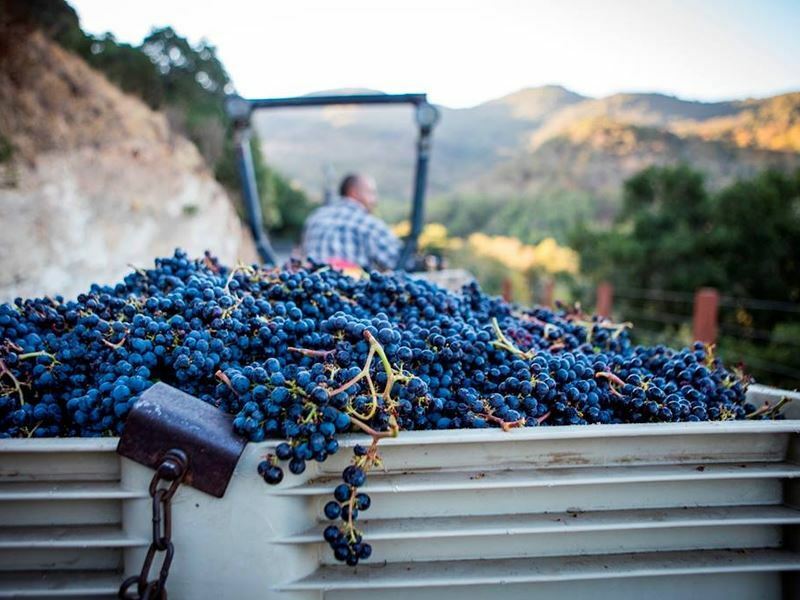 Sitting high above the fog line on the steep slopes of Howell Mountain, CADE Winery believes that winemaking should respect the land, both ecologically and aesthetically. High-elevation Cabernet Sauvignon-style wines full of the great intensity and power of the mountain fruit, perfectly balanced with the voluptuous tannins and judicious oak are crafted here. Founded in 1895, Larkmead is one of the longest established family-owned wine estates in Napa Valley. Thanks to the vineyard’s location, climate and variety of soils, Larkmead produces a wide portfolio of wines with a rare character usually exclusive to unique hillside sites in their 150-acre vineyard estate. Tamber Bey is all about the philosophy that excellent winemaking begins at the vineyard. The owners pride themselves on creating incredible wines made from a mixture of estate-grown grapes and fruits carefully selected from other Napa Valley growers. The vineyard’s winery is located at Sundance Ranch, a prestigious 22-acre equestrian facility passionate about training top performing horses. 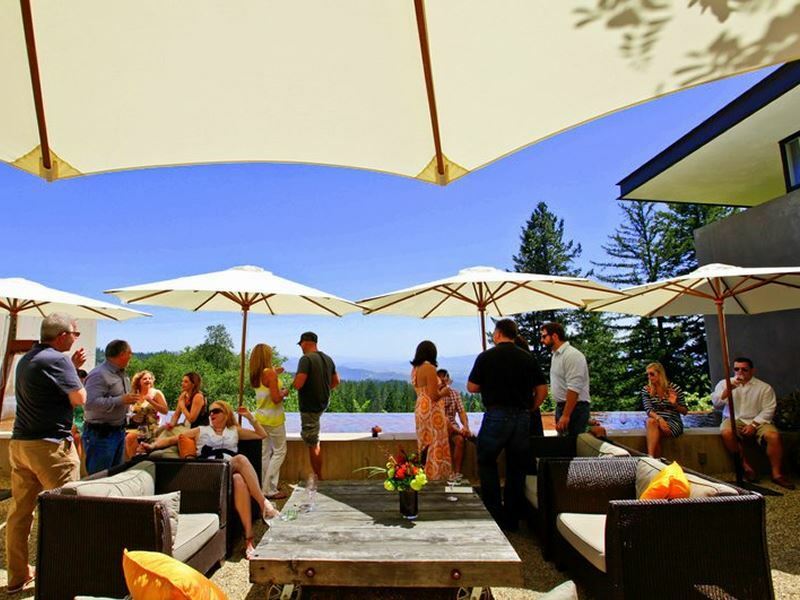 Voted “Best Napa Winery” for seven years running by the Bay Area A-List, Frank Family Vineyards specialises in small quantities of handcraft wines you can only get at the winery itself and a handful of selected restaurants and retailers. The vineyard’s diverse portfolio spans from sparkling wine to port and a little bit of everything in between. 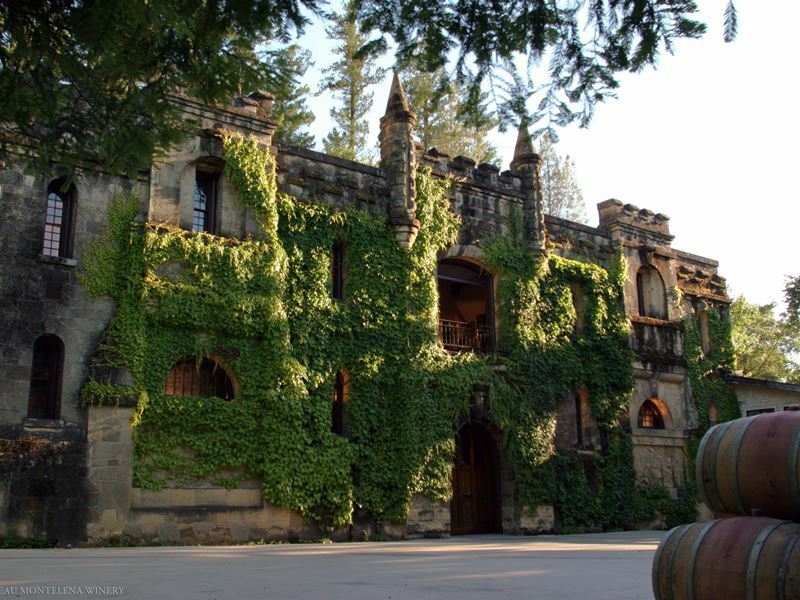 Constructed in 1888 and originally intended to be a barrel-aging facility, Chateau Montelena is a standout stone castle carved into a hillside overlooking miles of gardens, lakes and vineyards. Most famous for winning the “Judgment of Paris” wine competition with a superb Chardonnay, this winery offers fruity wines balanced with an underlying natural acidity structure for an elegant sip every time. Previously a part of General Mariano Vallejo’s Ranch School, Jamieson Ranch Vineyards still forms a working ranch to this day, complete with rolling vineyards, peacefully grazing cattle and even an apiary. The estate’s relaxed atmosphere and welcoming staff create a southern hospitality you’ll struggle to get anywhere else. Grapes are sourced from estate vineyards and neighbouring exceptional properties to create a host of amazing wines. The Domaine Carneros winery is set inside a stunning castle, considered to be one of the most beautiful in North America. The vineyards which surround the chateau are laden with vines used to create unparalleled vintage-dated sparkling wines and rich, complex Pinot Noir wines, crafted using traditional French methods. Set in the heart of Napa Valley’s famous Stags Leap District, Clos du Val has been crafting wine for over 40 years. The Hirondelle Estate Vineyard in Napa is made up of 100 acres of cherished vineyards featuring nine individual clones of some of the very best Cabernet Sauvignon you’ll find in North America. Recently, the owners have changed their business tactics and scaled down production to create extraordinary 100% estate wines. 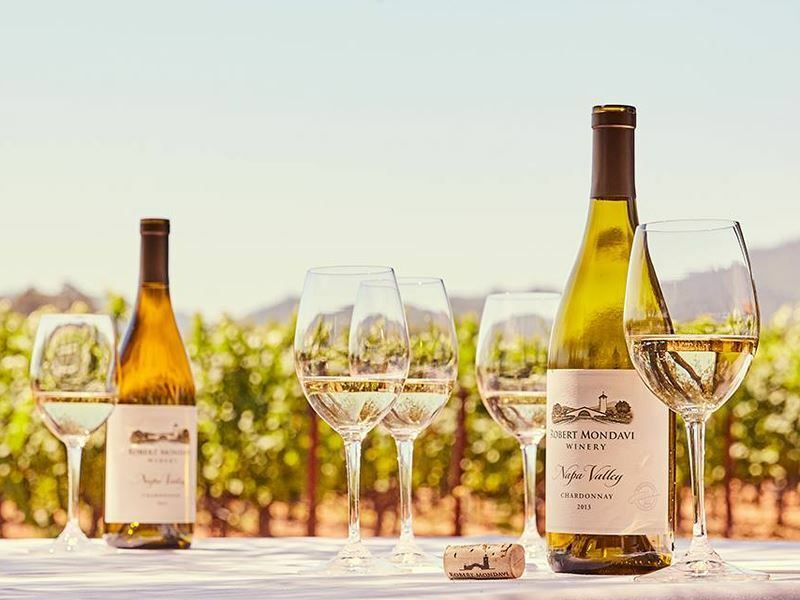 Established in 1966 with the vision of creating exemplary Napa Valley wines that would rank amongst the world’s finest, Robert Mondavi winery was the first major winery built in Napa Valley following the Prohibition era. From the use of cold fermentation processes in stainless steel tanks and barrel-ageing in French oak to collaborating with NASA and their aerial imaging to further understand the vineyards, Robert Mondavi Winery is always at the forefront of wine industry technology. Owned and farmed by the Wagner family since the 1940s, Caymus Vineyards produces two delicious Cabernet Sauvignons, a Napa Valley variety and the venerable Special Selection variety. Both wines have unique flavours and aromas that you’ll only get by taking a risk and leaving the grapes to hang on the vine longer than usual, when they develop greater colour, tannins and suppleness. 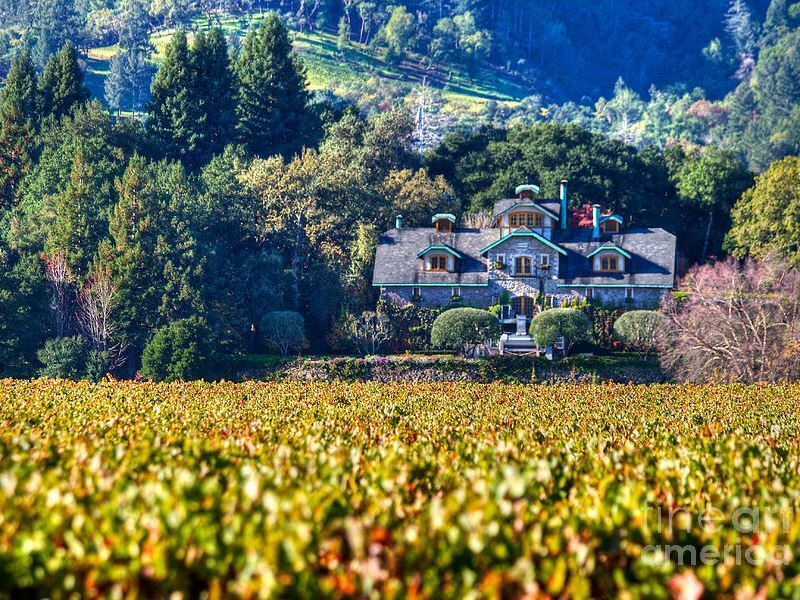 Founded in 1880, Inglenook is a family-owned wine estate comprised of 235 acres of organically certified vineyards, home to the region’s most famous chateau and its own clone of Cabernet Sauvignon. The estate offers guests a real VIP experience with soaring levels of elegance and personal attention rarely available elsewhere. Rutherford Hill Winery began life in 1972. At this time, the new owners discovered that the soil conditions closely resembled that of Pomerol, a small and distinctive Merlot-growing region in Bordeaux. Thanks to this, Rutherford Hill Winery quickly became a true pioneer in the development of California Merlot which remains the flagship wine of the company today, with 75% of the production dedicated to this one varietal. Since 1983 Anderson’s Conn Valley Vineyards have been owned and run by the Anderson family and since the first release in 1987, they’ve been producing word-class wines. 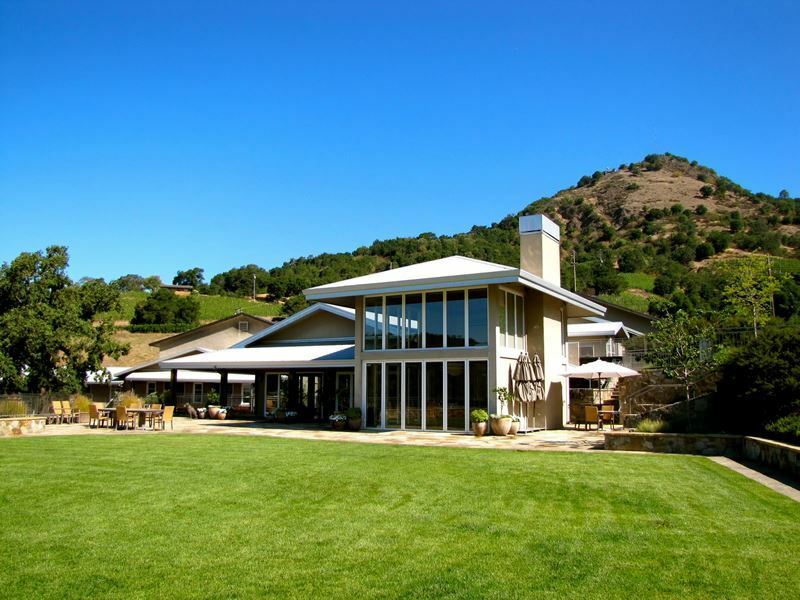 The 40-acre estate is located south of Howell Mountain and is best known for Cabernet Sauvignon, Right Bank (Bordeaux blend) and Eloge (also a Bordeaux blend), but the family also crafts Sauvignon Blanc, Pinot Noir and Chardonnay. The first winery to plant vineyards exclusively on highly elevated hillsides, Chappellet has been crafting age-worthy wines since 1967. The rugged terrain of the vineyards has become legendary for producing wines with great depth and intensity, qualities used to describe the world’s finest Cabernet Sauvignons. 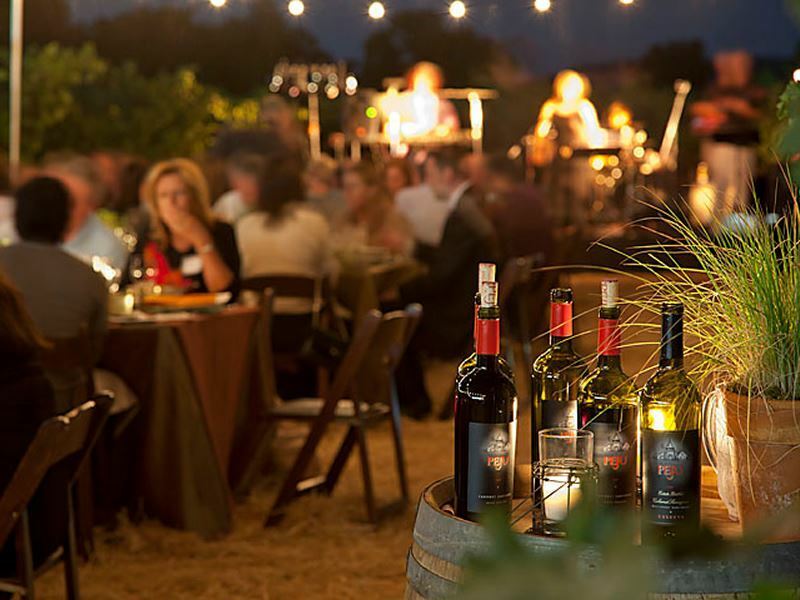 Markham Vineyards was founded in 1874 and has operated continuously ever since, making it the fourth oldest continuously operating winery in the whole of Napa. The estate covers 350 acres of vineyard in some of the region’s most fertile growing zones where they produce Chardonnay, Sauvignon Blanc, Cabernet Sauvignon and Merlot, the brand’s flagship varietal. 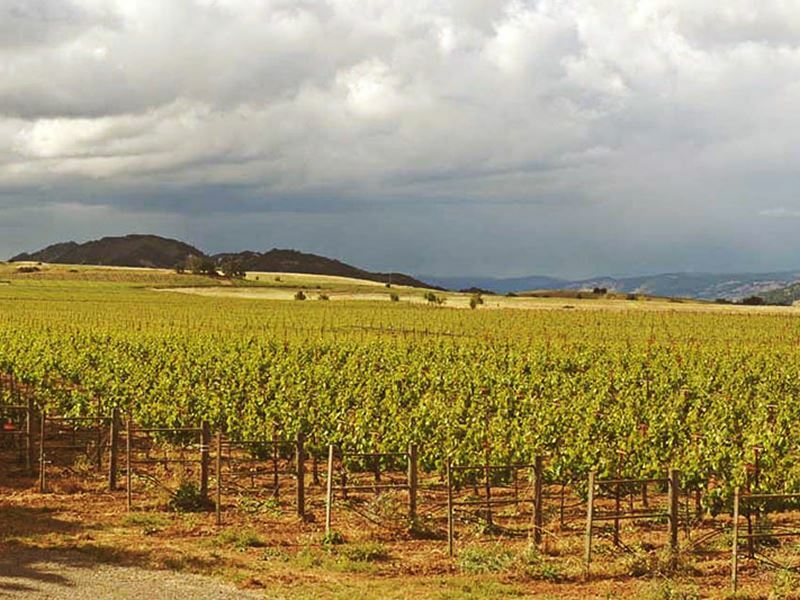 Located high up on the north-east slope of Spring Mountain, Stony Hill Vineyard is a family-owned business known for producing wines that stand the test of time and reliably please changing palates. The wines have always been crafted with a strong focus on elegant, lean and old world style, which the owners have been replicating for more than 60 years. Cathy Corison, named “Winemaker of the Year” in 2011, creates artisanal Cabernet Sauvignon at Corison Winery. The winery is set inside a timeless Victorian-style barn nestled in the heart of the Kronos Vineyard and is surrounded by eight acres exclusively used for St Georges rootstock, making it one of the oldest Cabernet vineyards remaining in Napa Valley and one of the few that has continuously produced world-class fruit for over four decades. Arguably one of the most photogenic wineries in the whole of Napa Valley, Spring Mountain Vineyard still houses the original winery which dates back to 1875, alongside many other historical buildings, all from the 1800s. The vineyard covers 225 acres which, with the exception of an estate Sauvignon Blanc, focus on red grapes, including a Pinot Noir which is a rare find in the hotter part of the valley. Specialising in premium Merlots, Duckhorn Vineyards is a boutique winery made up of seven different properties. Each site produces a unique variety of grapes with distinct attributes which reflect the variations in exposure, microclimate, terrain and soil. The estate-grown philosophy from vineyard to bottle guarantees a high standard of quality that’s elevated with every vintage. 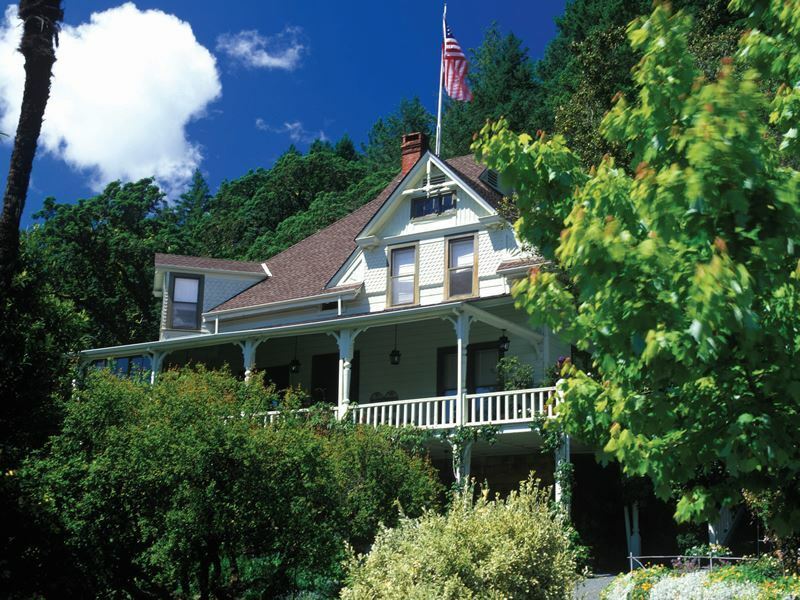 Founded in 1876 by two brothers, Beringer Vineyards is listed as a California Historical Landmark and is on the National Register of Historical Places. 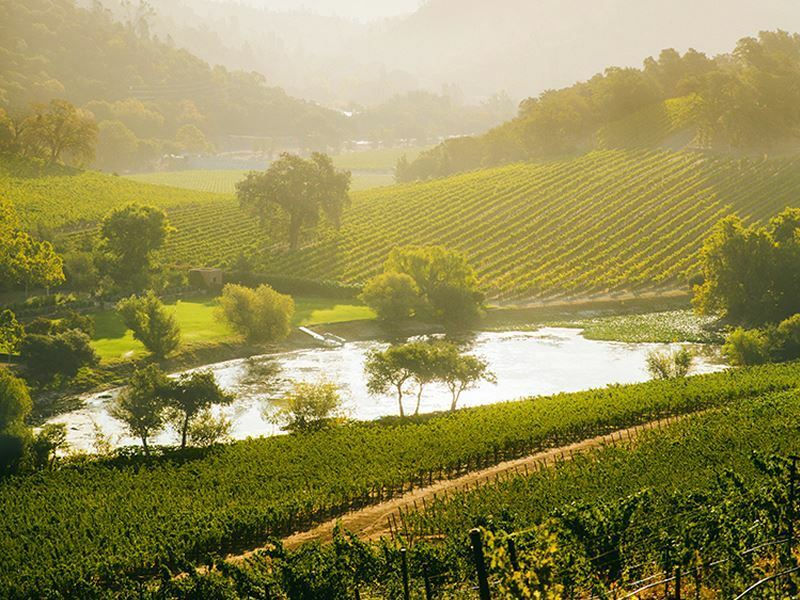 The estate boasts over 1,600 acres spread across the best appellations in Napa which the family uses to produce a rich portfolio of private reserve, single vineyard selections, distinction series, regional estate selections and founders’ estate selections. 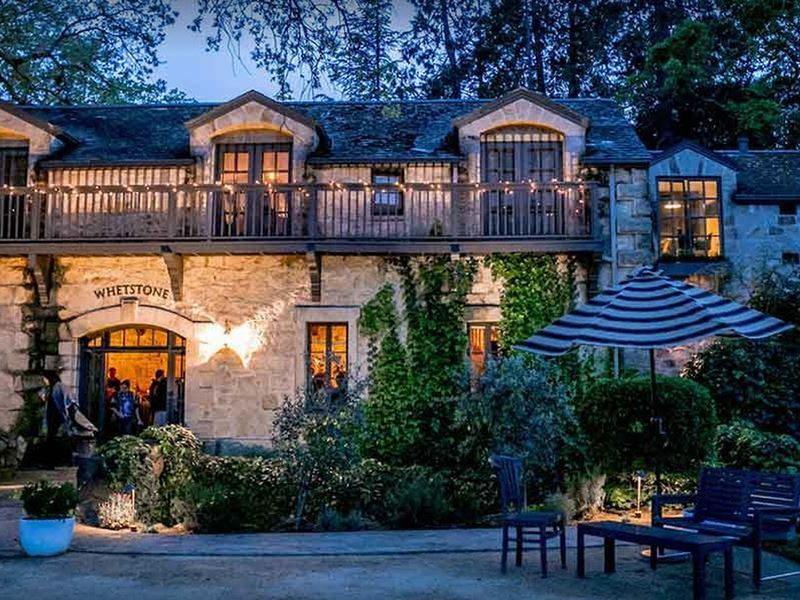 A historical stone building that was once a private home, Ma(i)sonry was restored in 2008 is a stylishly modern venue decorated with oversized glitter-covered light fixtures, Louis Vuitton suitcases and unusual eye-catching ornaments everywhere you look, making it part tasting room and part art gallery. Here you can sample a rotating collection of limited-production artisan wines representing 23 different Vintners. 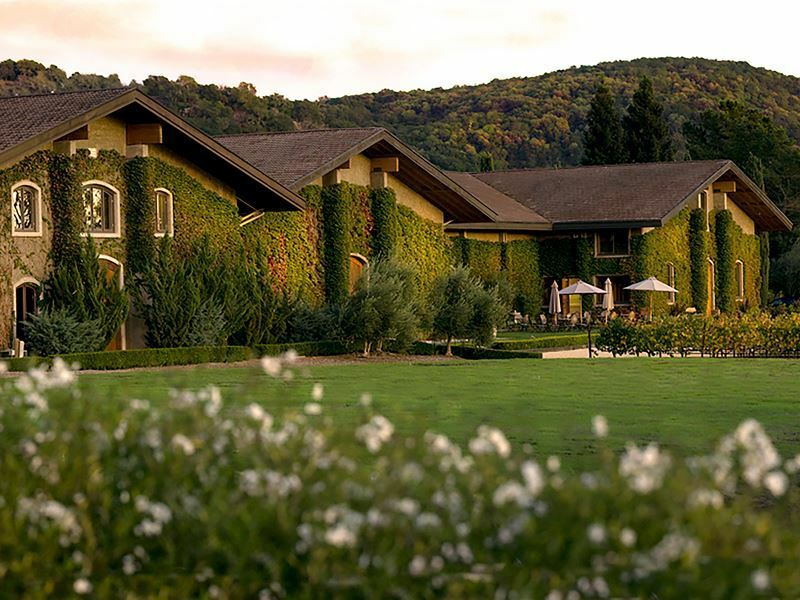 Established in 2002, Cliff Lede Vineyards covers 60 acres within the Stags Leap district of Napa Valley. The state-of-the-art gravity-flow winery is known for its berry-by-berry sorting system and individual cone-shaped tanks which ensure that each lot is allowed to evolve and mature at its own pace. Cliff Lede Vineyards produces handcrafted Cabernet Sauvignon and Sauvignon Blanc, with their flagship wine being a Poetry Cabernet Sauvignon, crafted from the steepest hillside of the estate.